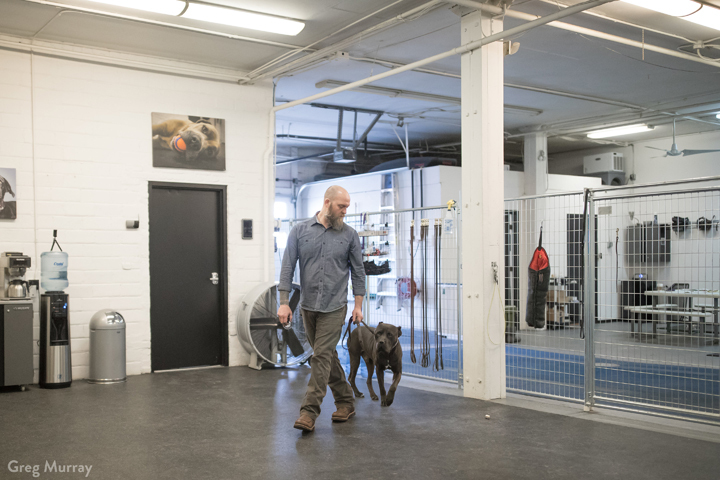 When Scott adopted Oberon in 2010, he was challenged to develop his training techniques to approach his Cane Corso’s strong aggression issues toward people. After just a few months of working with him, Oberon’s aggression was tempered and his behavior was reformed through consistent and continuous work with effective training tools. 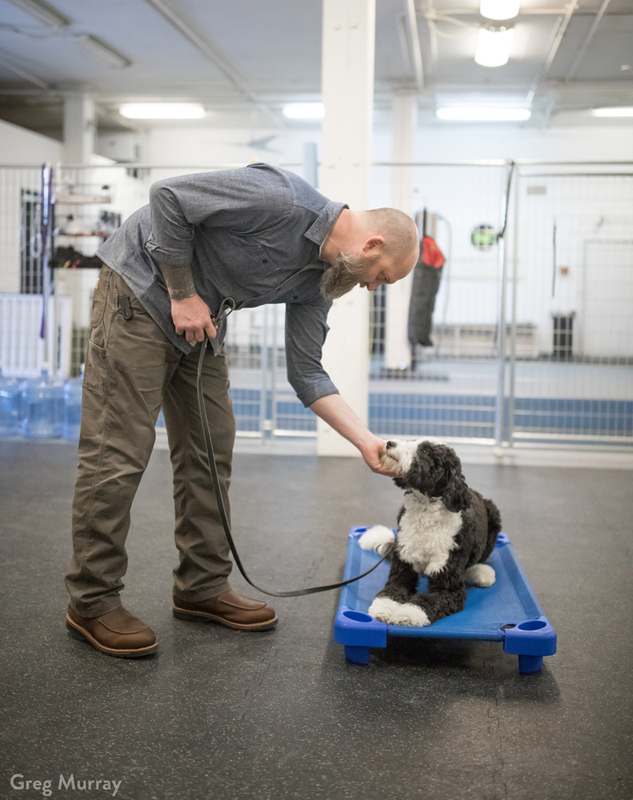 Since then, Scott has further refined and developed his proven training method and has worked with close to 1,000 dogs with a variety of issues ranging from aggression to leash pulling. 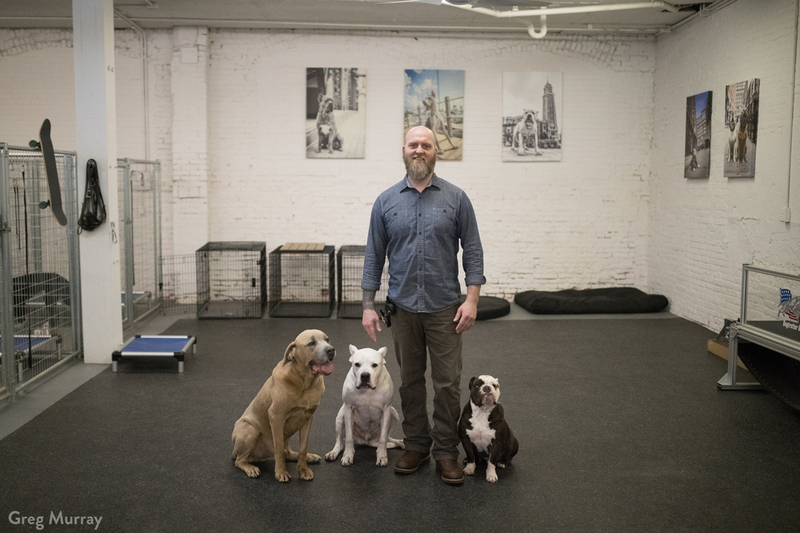 Scott takes pride in improving the lives of dogs and their owners through training that encourages communication and balance. 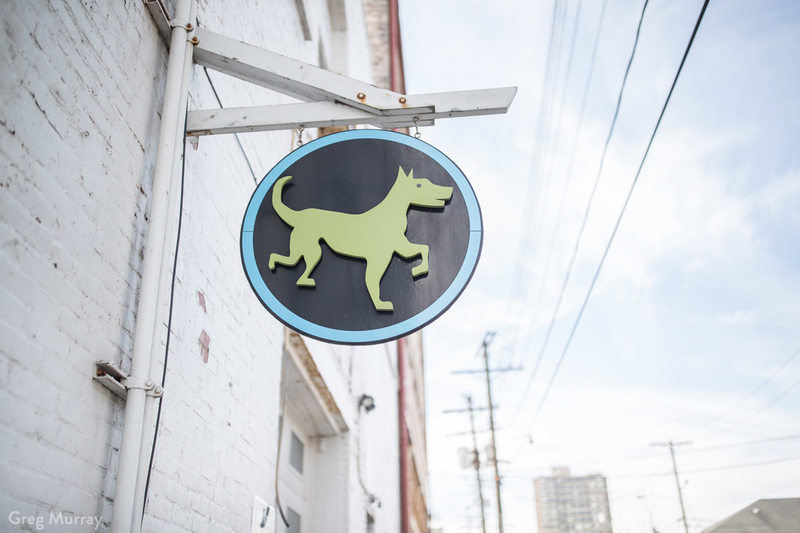 We believe in using a balanced approach to educate and transform your dog’s behavior. Effective and consistent communication, positive reinforcement, and measured corrections are essential to teaching your dog what behaviors are expected of him or her. 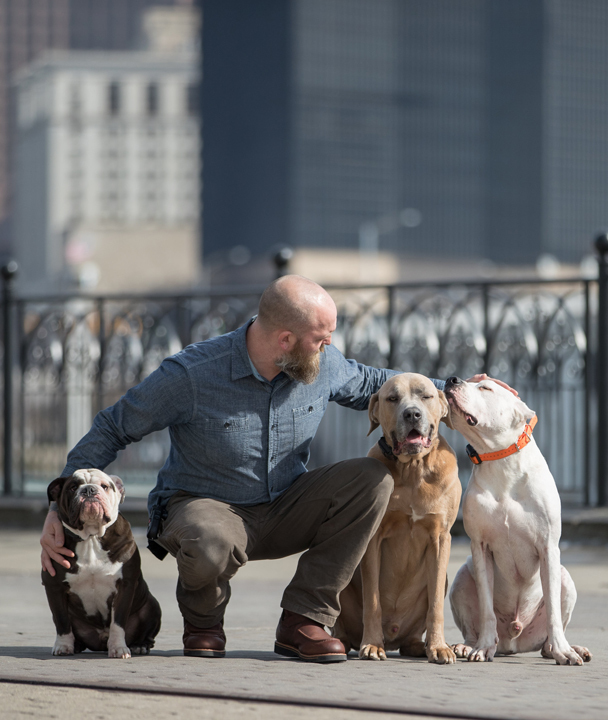 We work closely with dog owners to ensure that they fully understand the training process and can continue to effectively communicate and reinforce positive behaviors at home and beyond. The Tools – Throughout training, we’ll use a leash, Herm Sprenger Prong Collar, and the Mini Educator E-Collar. These items are included with a training package, and are the most effective, reliable, and humane tools available to help improve your dog’s behavior. Some dogs may require equipment upgrades at an additional cost. Oberon was Scott’s first successful student. Aggressive and malnourished when first adopted, he now provides a calm and steady presence around other dogs. He is a great example of how consistent and effective training can transform behavior. Hugo had serious separation anxiety when he arrived at Evolution Canine, but his hyperactivity was probably the most challenging issue. Today, he is a balanced addition to Scott’s family, and is best known for getting other dogs to come out of their shells and be playful. Dutch puts the “bull” in Bulldog. He came to Scott from a client when he was 6 months old, and is now a well-rounded pup that is cool under pressure. Dutch is a great addition to the pack and assists regularly in the training process. “Scott at Evolution Canine is an unbelievable trainer and has changed me and my Yorkie’s life for the better! I am able to take him with me just about everywhere with no longer fearing he will lunge at children or large dogs anymore. The nipping at strangers feet was eliminated practically with in the first week of training! Kilo is a calmer and happier dog these days, instead of constantly stressing and whining when new people or pets come in the house and being full of nervous energy, he is relaxed and content! Thanks again Scott for everything!” –Kaylie M.